You can show off your style and creativity with a Chicago architectural window, also known as a specialty window. 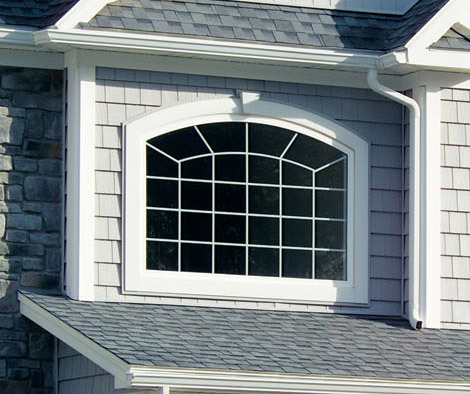 This window style comes in unique shapes and sizes to improve the look of your home. You can get really creative with your architectural windows in Chicago. Architectural or specialty windows come in many unique shapes. Whether it’s a circle, semi-circle, hexagon or triangle, you’re getting a window shape that you don’t see everyday. Your replacement architectural window is sure to get some attention. We can fit almost any window opening size too. We custom make all of our windows to fit the existing opening. Our architectural windows are made of vinyl and have foam insulated frames and argon gas-filled glass. This is perfect for Chicago homes because heat or air will have a hard time passing through these windows. Your home will be comfortable no matter the season. Staying comfortable isn’t the only thing our energy efficient architectural windows do. They’ll also save you money on your energy bills. With windows that aren’t energy efficient, your furnace and air conditioner have to work hard to compensate for them. This is because the heat and air they’re producing is leaving your home through the windows. With our architectural windows trapping heat or air in your home, you’ll remove a great deal of stress from your furnace and air conditioner which means you’re using less energy. 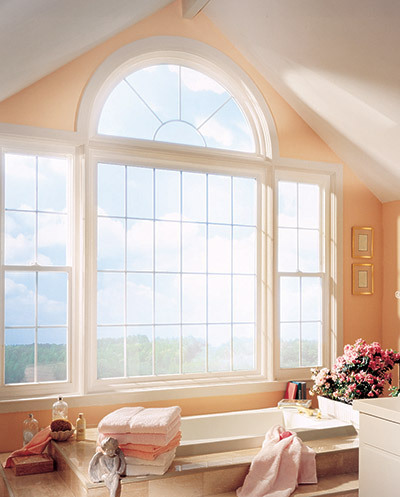 Architectural windows can be used anywhere in your home that you’re looking to add a personal touch. Whether it’s combined with other window styles or used on its own, you’ll love your architectural windows in Chicago.